Who knew?! 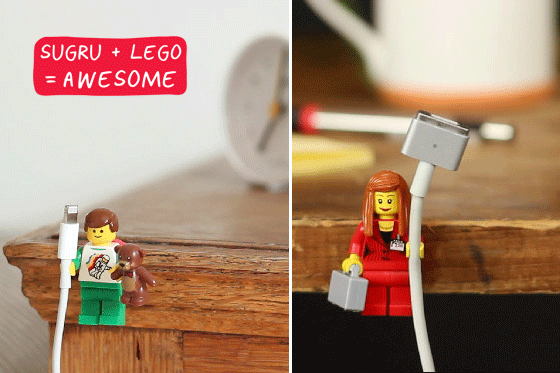 sugru + LEGO minifigures are the perfect way to keep your cables organised and AWESOME! sugru bonds to most materials so it means you can attach your minifigs anywhere you want — at home, at your desk, or the car. Yep just let that sink in… now you can click play! sugru + LEGO = Awesome! We think this idea might have just changed everything! 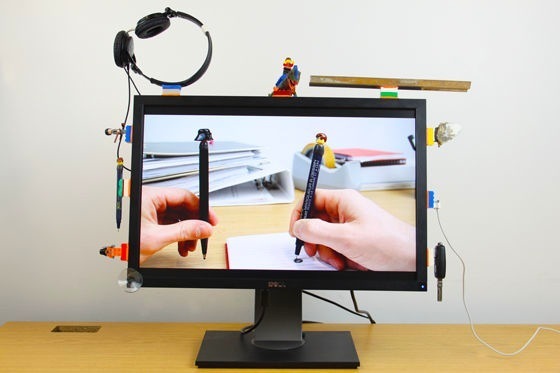 LEGO minifigures + Sugru are about to organise your life once and for all – messy cables begone! 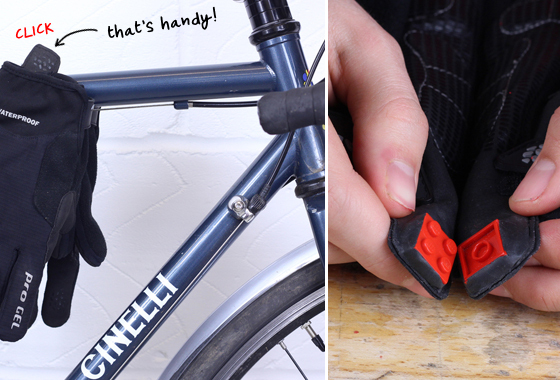 Sugru is super easy to use, just grab a pack and you&apos;re ready to go! LEGO is made from ABS plastic and that’s handy, because ABS is one of Sugru&apos;s favourite materials to bond to! 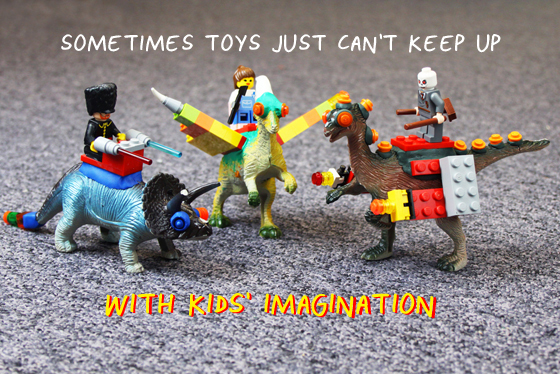 Sugru + LEGO lets you see the world with new eyes — everything becomes LEGO compatible! Everyone&apos;s desk can become a bit of a mess. 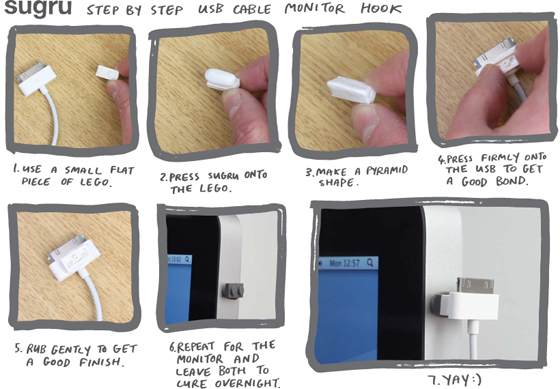 Sugru + LEGO can help. ..the only limit is your imagination! Gloves can often go astray. But we&apos;ve come up with a nifty little hack that means you can keep your gloves paired up, with just a little bit of sugru and some lego bricks. 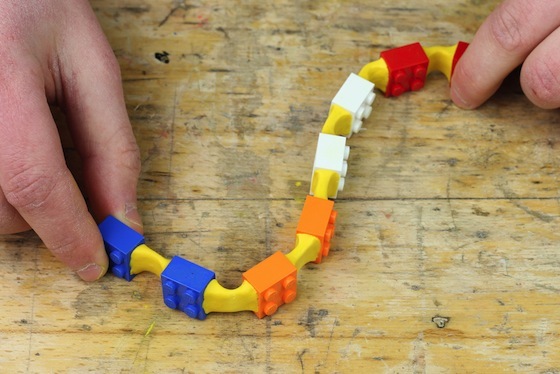 Yep, you can even use sugru to make LEGO go all bendy! Take note: Unlike LEGO, Sugru is not a toy. While it&apos;s still soft and squidgy, sugru is for grownups, not kids, so keep it away from those little guys. Once sugru has had time to cure, it&apos;s safe for everyone.